If you’re a Jane Austen fan, or a fan of furries, then you’re going to fall in love with this book. It’s humorous and understated, and keys into both the Classics mash-up genre and lolcats in one book. 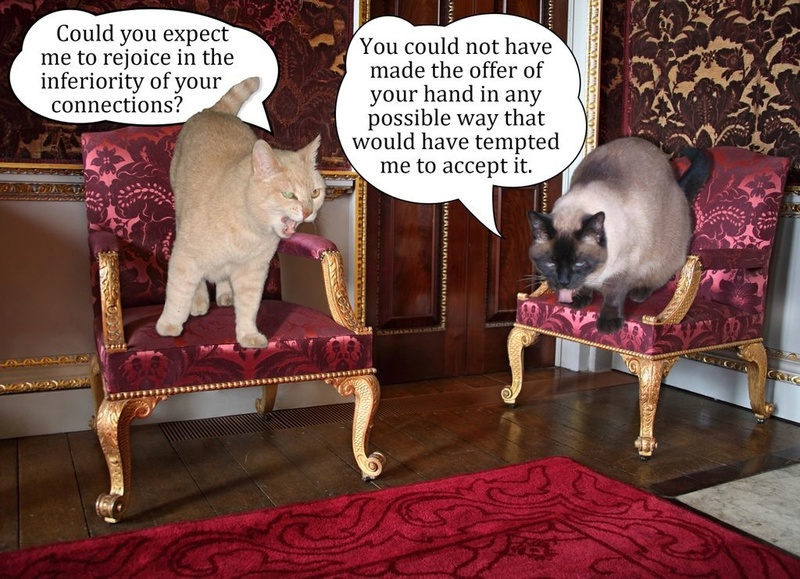 Yes, that’s right, it’s Pride and Prejudice re-written… with cats as the main characters. 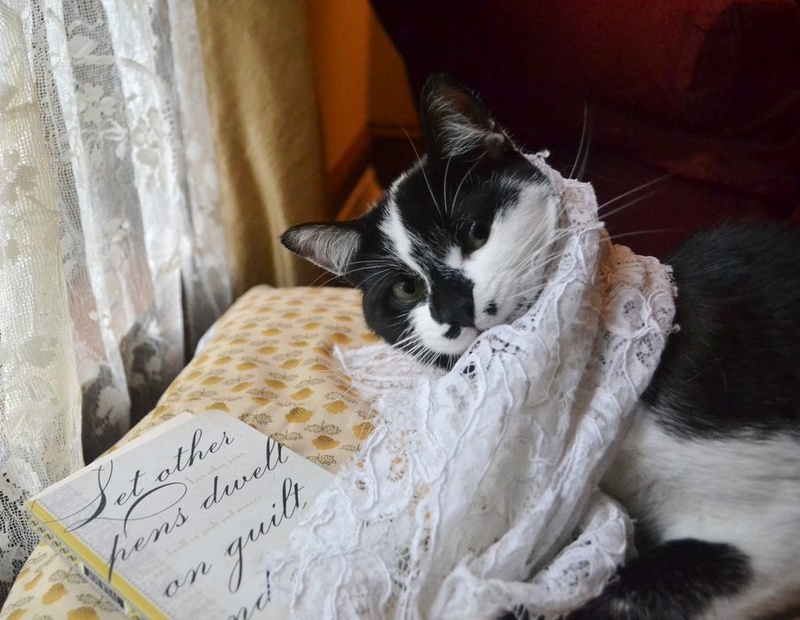 Pride and Prejudice and Kitties, from Skyhorse publishing, is written by Pamela Jane and sports photographs (often with captions) from Deborah Guyol, to create a “Cat lover’s romp through Jane Austen’s classic”. I’m hardly the most unbiased person to review this book (having more than 10 cats in my house, and writing a Pride and Prejudice blog), so you can take my opinion with the knowledge that I’m fairly familiar with the crazier aspects of cat-keeping. Some of the cat-characteristics given to the characters are spot on! Darcy is definitely a haughty cat, and I’ve previously considered one of my own cats similar to an Austen character. As I write this review he’s trying to jump onto my lap (I think he may actually be more like Lydia, always craving attention). “Netherfield Park is marked at last,” it begins. I received a review copy of this book, and I was absolutely thrilled to give it a read. It’s not too lengthy, and replaces Austen’s words with feline selections at just the right places to keep you interested and keep the storyline understandable. It’s good to see a different approach to a Pride and Prejudice mash-up… I’ve seen far too many vampire/zombie/werewolf mashups that it’s enough to do my head in. I’m very excited to see the reader feedback on this when it is on shelves. Janeites will love the photos that include little head-nods to other Pride and Prejudice and Jane Austen references – such as the Jane Austen for Dummies book in one photo and the Jane Austen figurine in another. Finding these throughout was a joy, and I spent much of the read trying not to look ahead to the next photographs. There are also Clueless references, and many others that, unless you’re fairly well initiated, you may not understand – but you’ll probably still find the photos funny. The full journey of putting this book together (and it’s a fantastic one) is available to read on the Pride and Prejudice and Kitties website. But we are also lucky enough to have a Q&A with the lovely Pamela and Deborah for this blog, and they have also provided some photographs for you to see (reproduced with permission). Where did the idea come about for this re-imagining? Pamela: It’s hard recall the moment when the idea of cats playing P&P characters popped into my head. I’ve always had a playful attitude towards cats, and part of my particular humor is imagining them with human characteristics, or in human situations because it’s absurd and somewhat irreverent. For instance, I’ve always thought my late cat, Mittens, would have made an excellent president because he sees both sides of the issue – first he wants to go out, and then he wants to come in. Also, he can retract when he’s make a mistake – he’s always coughing up hairballs. Whatever is going on in the human world, I imagine with cats. And since Jane Austen is an enduring part of my own world, the pairing of the two was inevitable. Deborah: I will confess that when Pamela first proposed the idea to me, my response was tepid. Only after we had begun to work on it together did I fully appreciate its cleverness. Why did you choose cats? 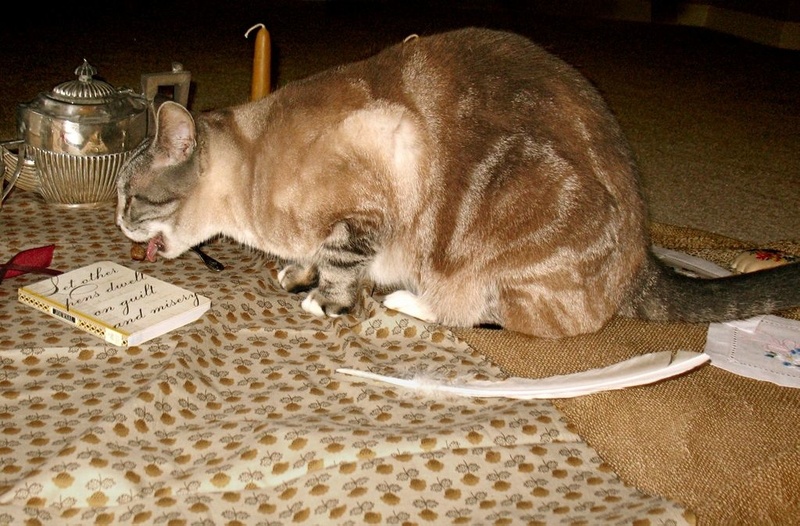 Pamela: Cats strike me as being funnier than dogs, or maybe it’s the relationship between humans and cats that is funny. Cat-owners have rich fantasy lives, for one thing. They imagine that these independent, often perverse creatures adore their owners. 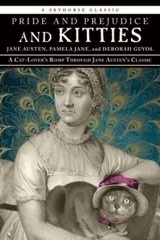 I will say, however, that there is a big surprise for dogs and dog-lovers in Pride and Prejudice and Kitties! Deborah: Cats are photogenic and silly and do not have a well-developed sense of irony; thus it makes perfect sense to couple them with an ironic author. When did you first read Pride and Prejudice and what are your favourite things about it? Pamela: I have to thank Debbie, for introducing me to Pride and Prejudice. I was a reluctant and rebellious student and tended to dislike novels that were assigned in high school (where I first met Debbie). That meant that Wuthering Heights and Silas Marner were not favorites, though I have since come to love and admire George Eliot. Once I discovered Austen’s genius and wit, I adored her. Of course, as young girls we identified with Elizabeth Bennet. This is still true many years later, but I have to confess there are some uncomfortable moments when, though I can’t admire Mrs. Bennet, I can better understand her. What was the most difficult part to write or put together? Pamela: Our vision for the book took years to evolve. Debbie and I were both against the idea of dressing the cats in Regency costumes. To us, the joke was cats being cats, and Jane being Jane, and juxtaposing these two apparently disparate entities. So we were knew we were not going to do. But what were we going to do, exactly? 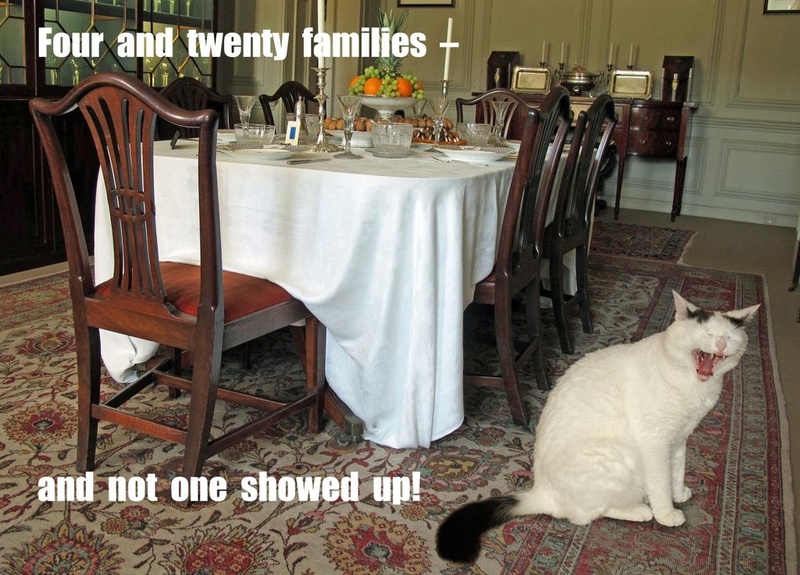 The idea of “kittifying” the text came late in the process, as did the concept of Photoshopping cats into authentic Regency settings. Clarifying our vision for the book required trial and error, as well as simply the passage of time. 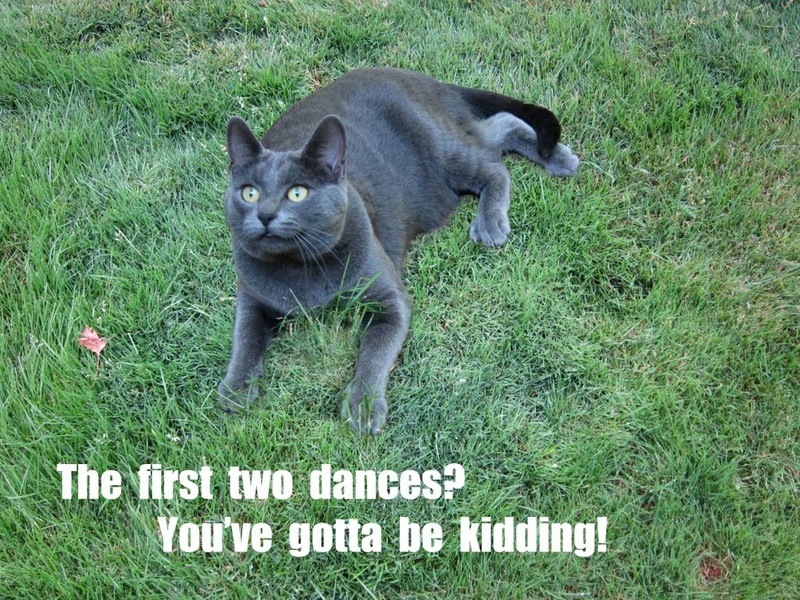 Deborah: Often we’d have a cat photo in which the cat looked right but its background did not. 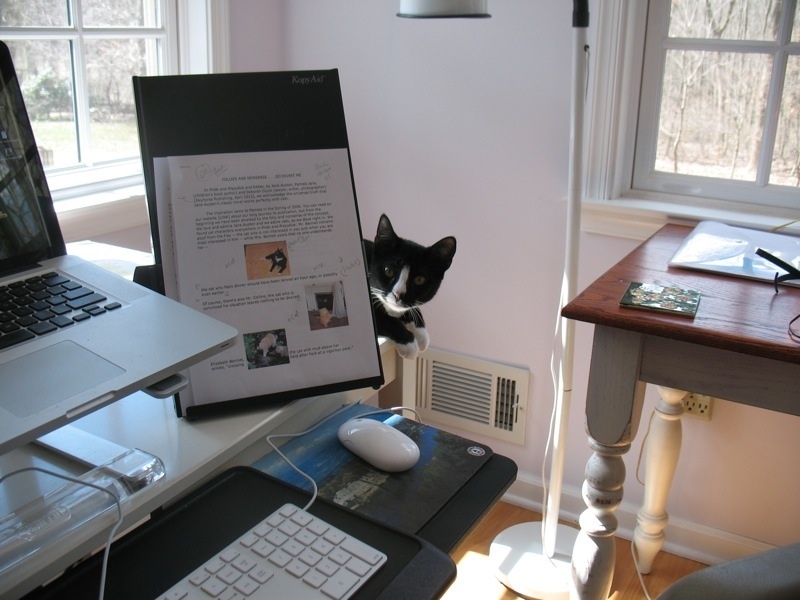 The Photoshop theory – that it will be simple to Photoshop a cat into a more perfect setting – does not always match up with the practice. 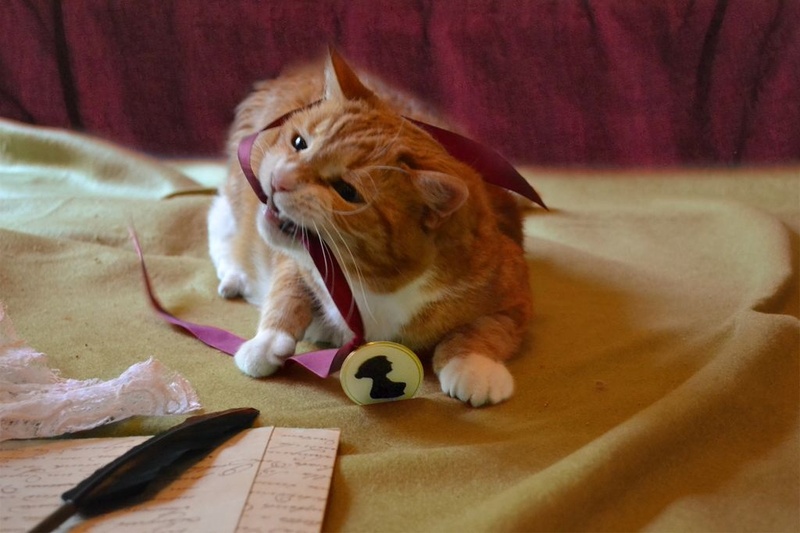 You’ve interwoven cat-habits to each of our favourite characters. What did you have to consider for each one? Pamela: We tried to consider the essence of each of the characters in P&P, and to translate that into cat behavior. Mrs. Bennet for example, complains a lot and drives her husband to distraction. 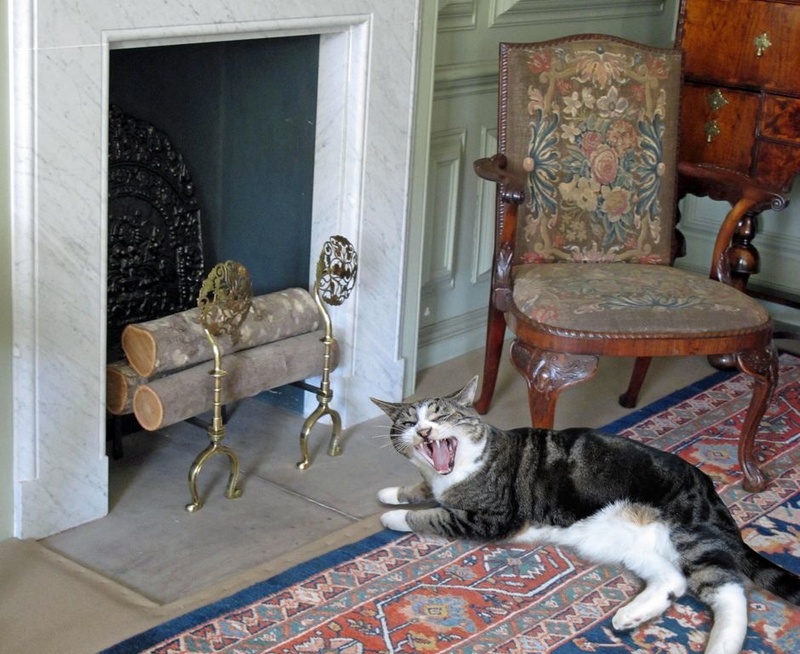 So, as a cat, we have her yowling through the halls of Longbourn, and using poor Mr. Bennet’s chair as a scratching post. And then, of course, someone like Caroline Bingley always has her claws out. You can even see claw marks on the letters she sends Jane Bennet. Deborah: We believed from the start that cats naturally exhibit many traits of the P&P characters. For example, excessive napping (Mr. Hurst), a sense of entitlement (Lady Catherine de Bourgh), a tendency to yowl when things go wrong (Mrs. Bennet), and of course the self-assurance of our beloved Elizabeth Bennet. Are you a cat owner yourself? Deborah: I have two cats, Dexter and Dudley. I named them after characters in Cary Grant movies and apparently they took this as a signal to participate only in projects relating to Cary Grant. Who is your favourite Jane Austen character? Pamela: Elizabeth Bennet is my favorite, with Emma Woodhouse a close second. Deborah: I would like to be Elizabeth Bennet, naturally, but then there’s Emma Woodhouse. I don’t want to be her, but I think she’s wonderfully complex and contradictory – and misunderstood by most critics. Do you think Austen fans will like this book? Pamela: Gina Fattore wrote on Salon.com, “Face it. If you are a single woman of a certain age, you can either be obsessed with Jane Austen or you can have cats.” We think you can do both! Deborah: We also like to believe Jane herself would approve of the spirit of absurdity that inspired it and that it expresses. 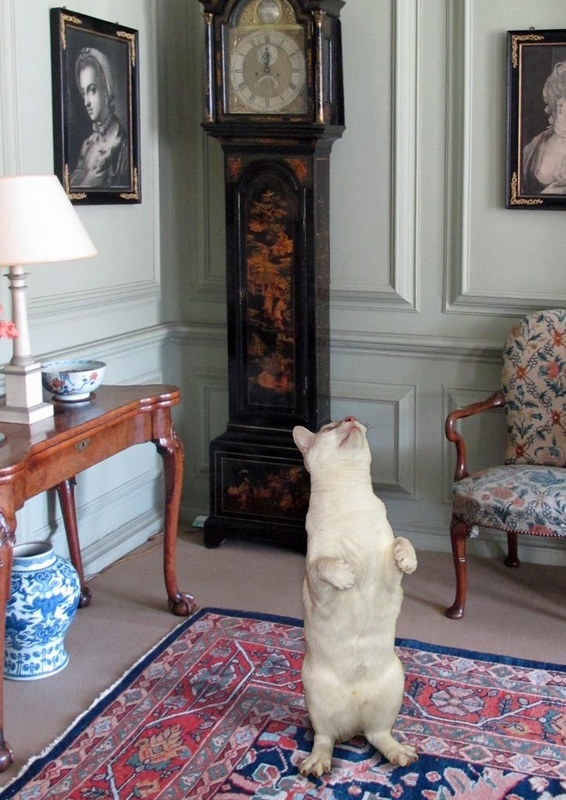 There are some great photos throughout – how did you go about finding that many cats?! Pamela: Debbie met up with far more cats in Portland, Oregon, than I did in Bucks County, Pennsylvania. But our neighbors are connected by an email list and I put the word out that I need cats to photograph. Most owners were happy to oblige! Deborah: I know I dine with four and twenty families, and they have cats; and when we have finished with their cats we look for more prospects on Mr. Bennet’s manor. Are we going to see any other Jane Austen imaginings? Deborah: It’s a definite possibility; more we cannot say. 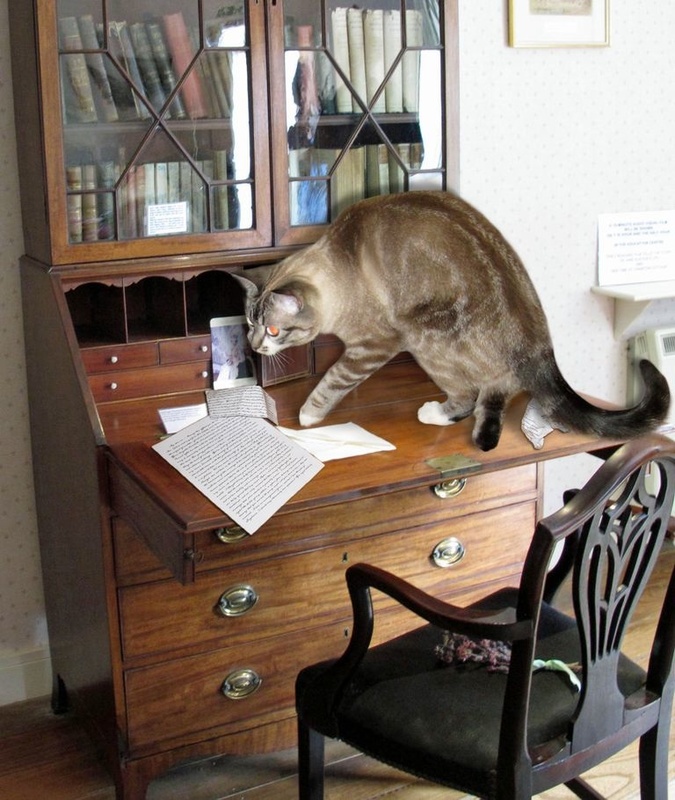 Kudos for all the Austen memorabilia in the pictures – It’s like a ‘pick the reference’ for Janeites! Pamela: We owe much of our Austen memorabilia and scenes to author Sally Keehn, who embarked on an “English Literature on Location” tour in the UK, and took photographs of Austen-related settings. Later, graphic designer, Kathryn Hathaway, Photoshopped the cats into the settings. It might be worth keen fans checking out some of the other reviews available, such as in the Wall Street Journal and ALA Booklist. For those keen to purchase a copy, check out Amazon. While more information is coming for Australian buyers, I recently saw another Skyhorse Classics mashup available at Better Read than Dead in Newtown, Sydney – Fifty Shades of Dorian Gray – so I hope they will be stocking this title as well. A fun read that isn’t just making me feel like a Jane-Austen-Reading, Cat-Owning stereotype, but also enjoying the fact! Are you going to get your hands on a copy? OMG, this is just too funny!! !